Launched in 2010, with over 450,000 vehicles produced at the Mulhouse plant in France, the second-generation Citroën C4 is being updated in 2015 with a new light signature, technologies and latest-generation engines. 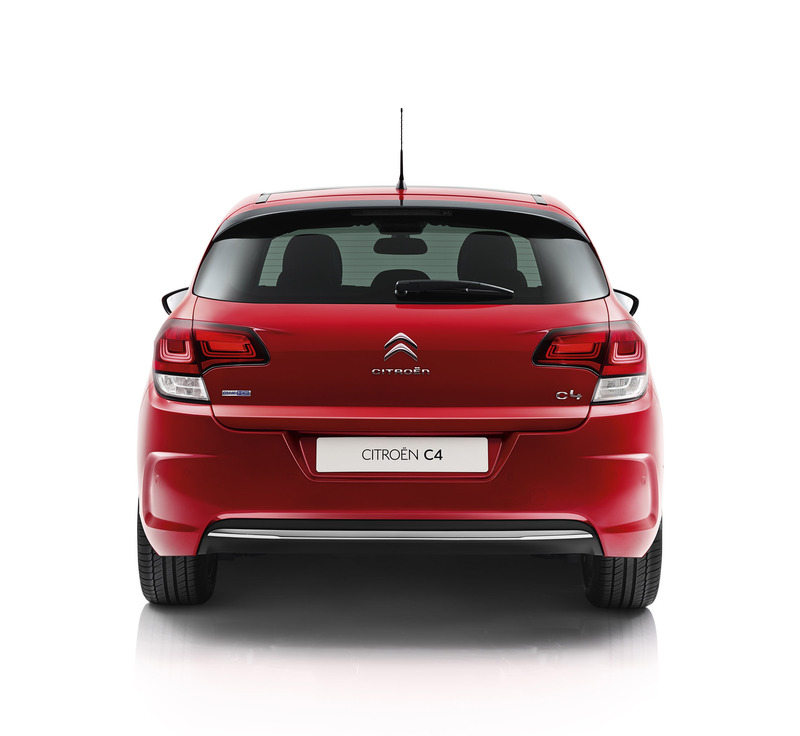 Setting the standard for comfort in its segment, the Citroën C4 is a compact hatchback delivering an elegant design, all-round comfort, and outstanding driveability – all proof of Citroën's creativity and technological know-how. 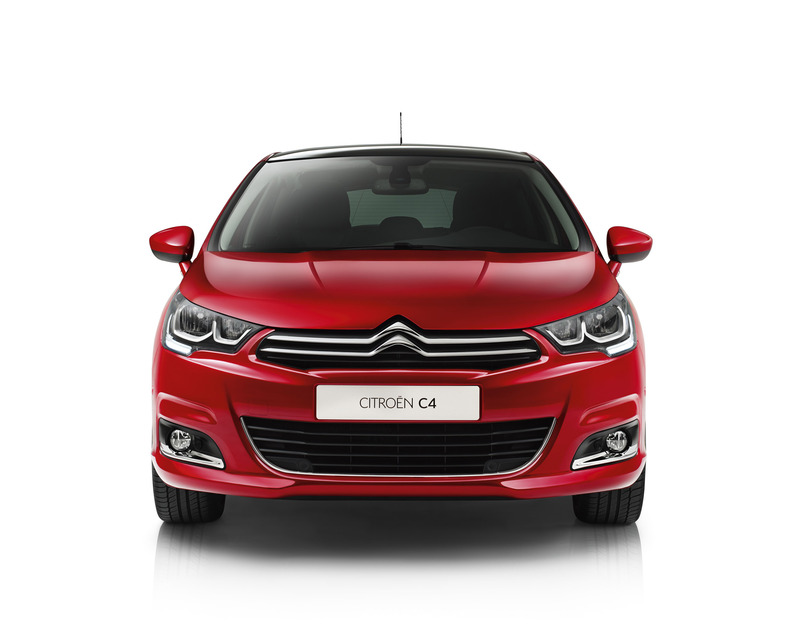 The Citroën C4 chrome chevrons connecting the headlights and the ribbed bonnet curving into the sides make its front end immediately recognisable. 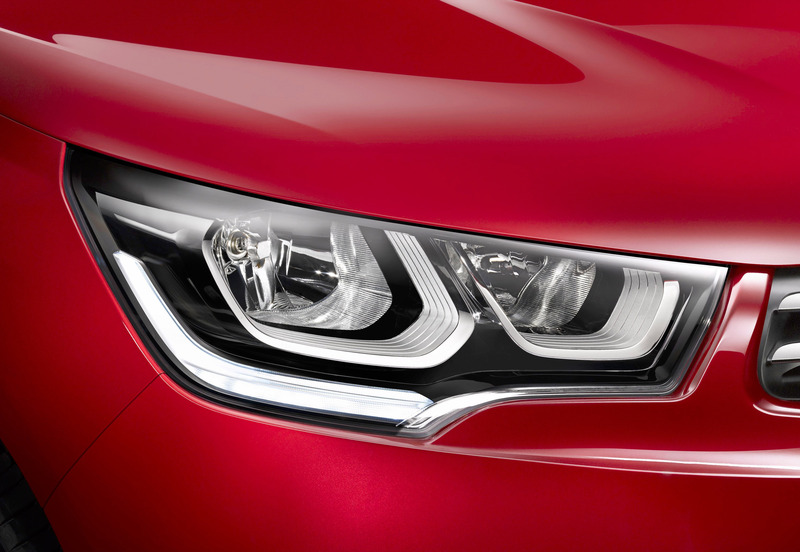 The new headlights, with two 3D chrome-finish modules on a gloss black background, also give the Citroën C4 New Range a different look. LEDs add expression to the slender lights stretching out to the wings to create a unique light signature. 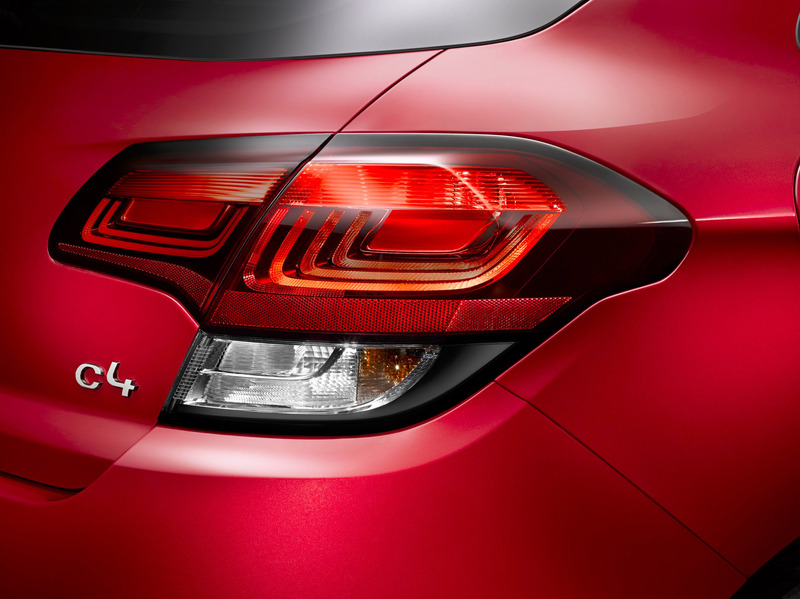 The new rear 3D-effect lights highlight the sleek, wide tailgate. Touches of chrome on the front and rear bumpers and weather strips, plus the new 17" Miami alloy wheels enhance the premium appearance. The C4 New Range is available in a choice of nine colours, of which two are new (Platinum Grey and Spirit Grey). Inside, the Citroën C4 New Range features a modern, uncluttered dashboard with a new 7" Touch Screen. The seats offer firm support for a comfortable ride and are available with new upholstery choices including the Black/Grey Rayados cloth and the Grey Liberal cloth. The interior of the Citroën C4 is plush, with the finest materials in the segment found throughout; soft leather on the dashboard, jersey on the roof, and touches of chrome on the steering wheel controls, air vents and gear lever. The Citroën C4 New Range is designed to offer the driver and passengers comfort, peace of mind, and a unique motoring experience. 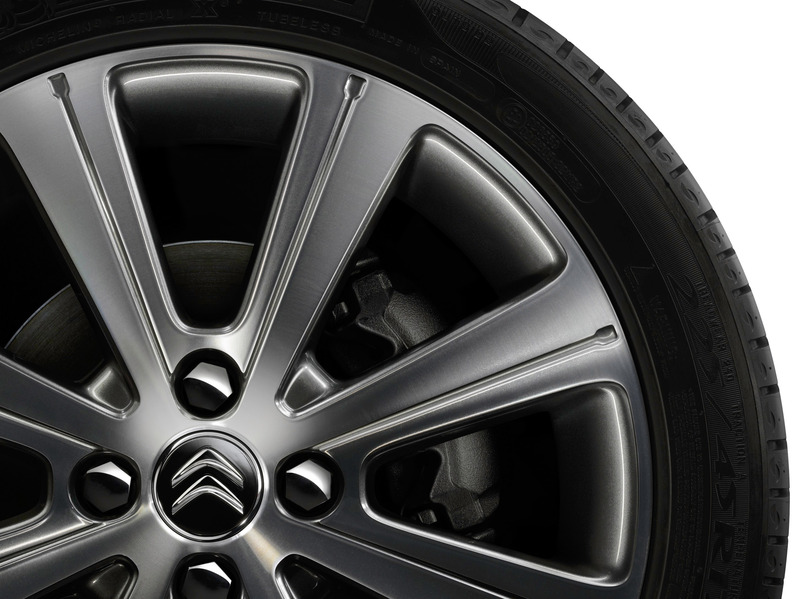 The Citroën C4 features superb road handling and precision steering that translate into exceptional safety and stress-free driving. Proven technologies such as McPherson-type front suspension, flexible transverse beam, and electro-hydraulic steering reflect Citroën's know-how and contribute to high standards in comfort and driveability. 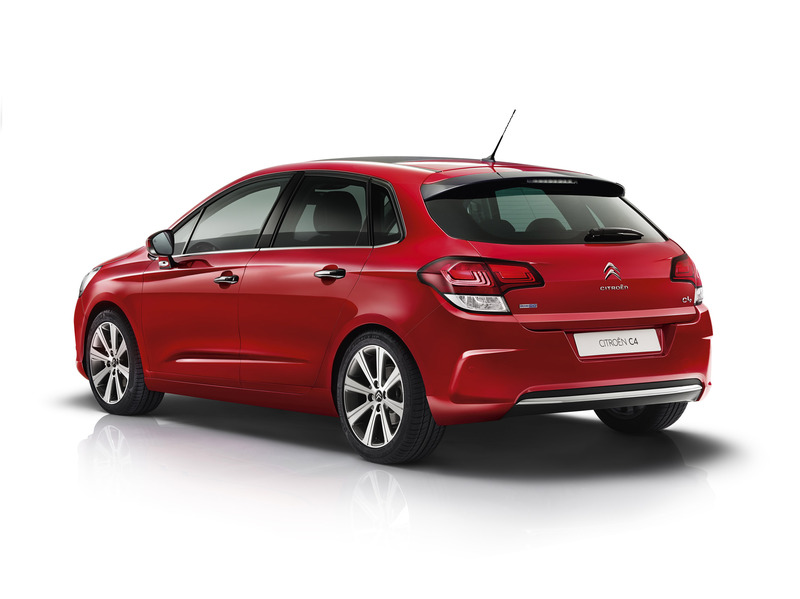 The Citroën C4 also delivers excellent body roll control, and responds well in evasive or emergency manoeuvres. Technologies to aid the driver such as Electronic Brakeforce Distribution, Emergency Braking Assistance and intelligent traction control coupled with ESP contribute to its well-balanced road handling. 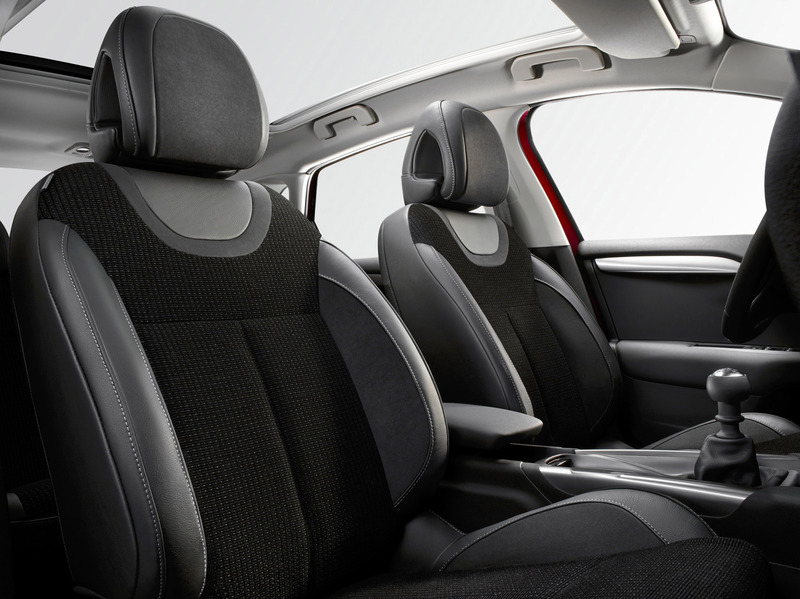 The Citroën C4 boasts space, versatility and convenience. It provides plenty of space, with a 2.61m wheelbase and rear seat with ample elbowroom of 1.45m. 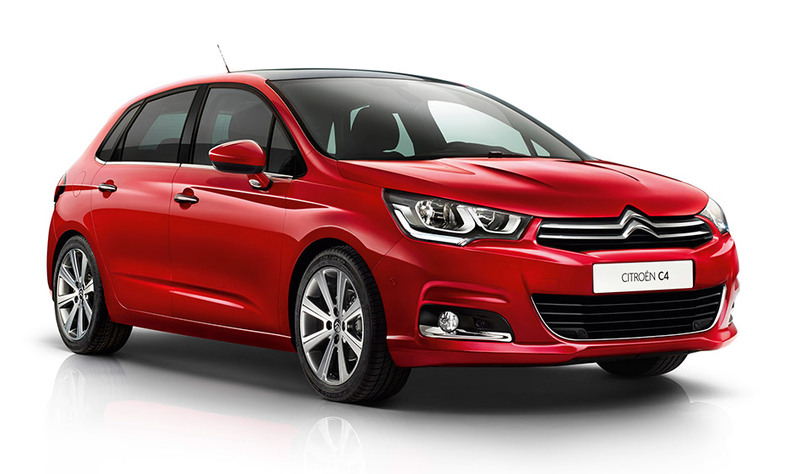 Citroën C4's dimensions are unchanged, with a length of 4.33m, width of 1.79m, and height of 1.49m. 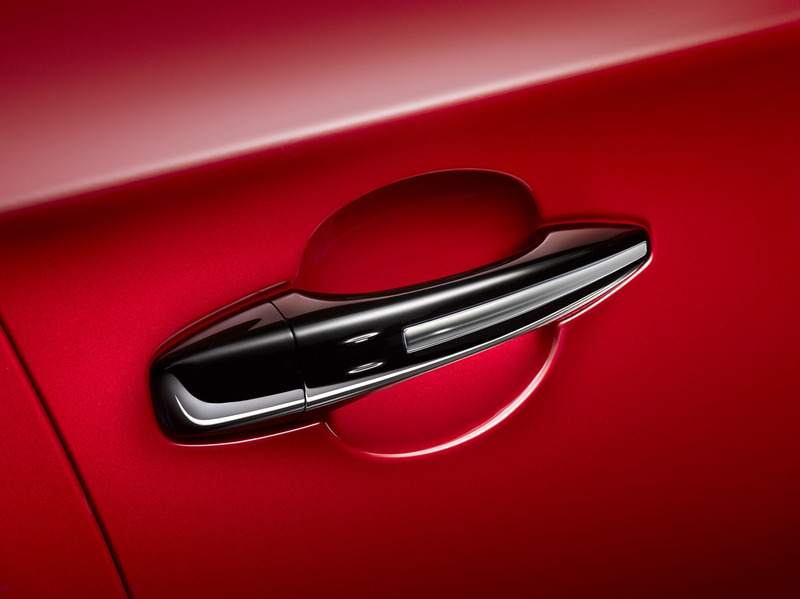 Its boot volume of 408 litres, the largest in its category, still sets the standard in the market. All that space is useable too. The Citroën C4 offers generous storage, with a huge glove box, door panels in the front large enough for a 1.5 litre bottle, drawers under the front seats, along with storage space on the dashboard and under the front armrest. It is also as versatile as ever, with split folding seats (2/3–1/3), and a ski trap to carry long, cumbersome objects. 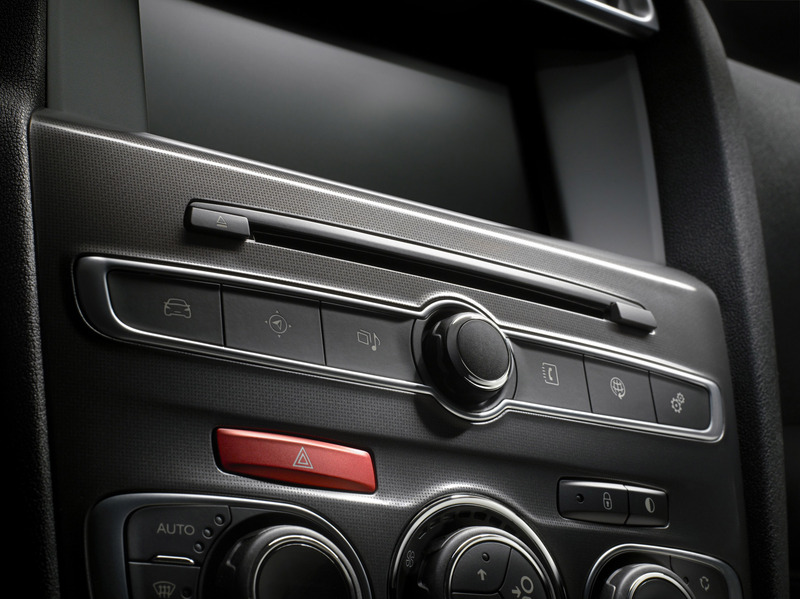 The Citroën C4 New Range makes daily life simpler and more delightful with an array of useful and intuitive technologies. The Lane Departure Warning System (LDWS) designed to deal with a loss of alertness by the driver, the cause of many accidents, particularly on motorways. It uses sensors in the front bumper, this system ‘reads' the continuous or broken lines on the road and warns the driver when the vehicle crosses them. 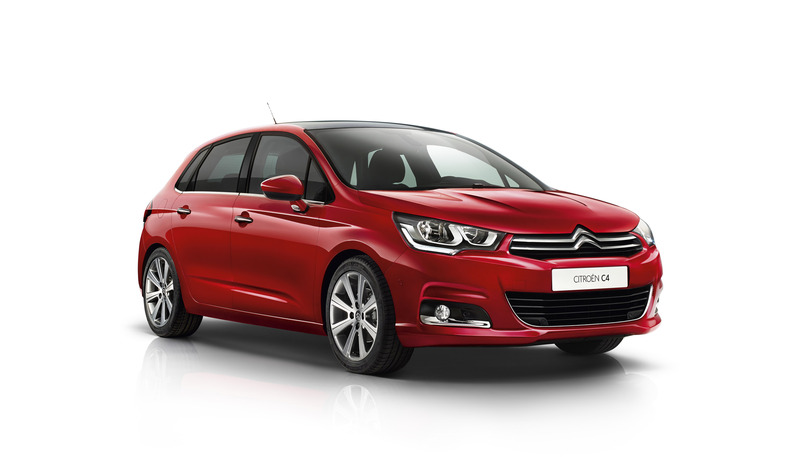 The Citroën C4 New Range features new Euro 6-compliant engines that combine fuel efficiency with high standards of performance: two PureTech petrol engines and two BlueHDi Diesel engines. Designed and manufactured in France, the PureTech engines (a new family of 3-cylinder petrol engines) incorporate innovative technologies to deliver up to 25% lower fuel consumption. Following the PureTech 130 S&S 6-speed manual turbocharged unit introduced last March, a new engine has been added to the C4 Range: the PureTech 110 manual gearbox. Based on the 3-cylinder architecture of the naturally aspirated engines in the PureTech family, the turbocharged versions are equipped with an advanced, high-performance turbo compressor (240,000rpm) and a central high-pressure direct injection system (200bars). To withstand the additional stress borne by turbocharged engines, compared with naturally aspirated engines, parts have been strengthened. The PureTech 110 manual gearbox engine delivers maximum power of 81kW (110hp EEC) at 5,500rpm and torque of 205 Nm at 1,750rpm, making the Citroën C4 responsive and agreeable to drive. This engine's performance is 60.1 combined cycle and 110g of CO2 per km with ultra-low rolling resistance tyres. Since the end of 2013, Citroën has rolled out a new generation of diesel engines called BlueHDi. These drastically reduce nitrogen oxide (NOx) emissions and lower CO2 emissions by up to 4%, thus providing technology to comply with the more stringent Euro 6 regulations. The BlueHDi 100 manual gearbox and the BlueHDi 120 S&S six-speed manual gearbox, with a capacity of 1,560cm3 deliver maximum power of, respectively, 73kW (99hp EEC) at 3,750rpm and 88kW (120hp EEC) at 3,500rpm. The torque at 1,750rpm (higher than the preceding generation's) is 254 Nm for the BlueHDi 100 manual unit and 300 Nm for the BlueHDi 120 S&S 6-speed manual unit. 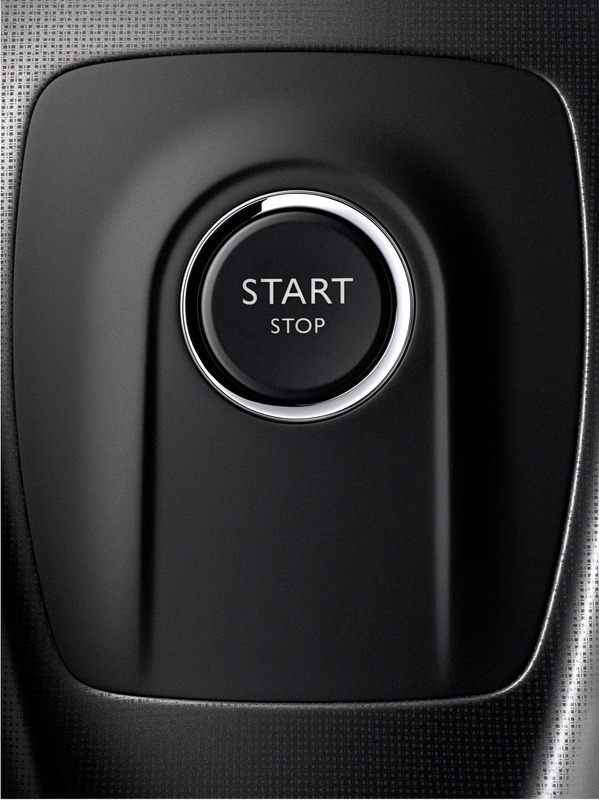 The Stop & Start technology with an upgraded starter used with the BlueHDi 120 engine offers numerous advantages, including no noise when the car is stopped, lower fuel consumption and reduced greenhouse gas emissions. The engine cuts out when you come to a stop and the gearbox is in neutral and the clutch pedal is released. When the clutch pedal is pressed down again, the engine restarts within about 500ms, or less than the time needed to shift into gear. The BlueHDi 120 S&S with a six-speed manual gearbox delivers combined cycle consumption of 78.5mpg and CO2 emissions of 95g/km with ultra-low rolling resistance tyres. the additive particulate filter invented by PSA Peugeot Citroën, which made its world debut in 2000. It eliminates the number of particulates by up to 99.9%. An innovatively structured exhaust line with a unique set of technologies: the SCR catalyser positioned upstream of the additive particulate filter is the only post-process system capable of reducing NOx emissions by up to 90% while decreasing CO2 emissions by up to 4%.